Precision Aviation Group (PAG), a provider of products and value-added services to the worldwide aerospace and defense industry, receives the Excellence Award presented by MD Helicopters, Inc. The award signifies PAG’s commitment and approach to serving its global “mission-critical” customer base. The award was presented at the 2019 HAI Heli-Expo in Atlanta, GA. It is with great sadness that Concorde Battery Corporation announces the passing of Edward “Skip” Koss, long-time vice president of marketing and great friend of the aviation industry. Skip was surrounded by family at his Redlands, CA, home, March 19, 2019, at the time of his passing. Airbus Helicopters signs a letter of intent (LOI) with SKYTRAC that will enable helicopters equipped with SKYTRAC real-time data processing and communications hardware to transmit aircraft and flight data directly to servers on the ground, ensuring the continuous flow of data from the air to the ground for analysis. The newest Enstrom Helicopter service center is announced at Heli-Expo in Atlanta. Copter & Boat’s Dream, also known as Copter Company in France, is owned by Eddy Pacalis and is based in Cournonsec, west of Montpellier on the Mediterranean Riviera, where it maintains 30+ helicopters, including six Enstroms. Enstrom Helicopter Corporation delivers its newest 280FX to the French training company, Golf Tango, at Heli-Expo in Atlanta. Gérard Taunay, founder of Golf Tango, is on hand, along with François Gatineau, CEO of Rotor and Aircraft, the Enstrom dealer in France. 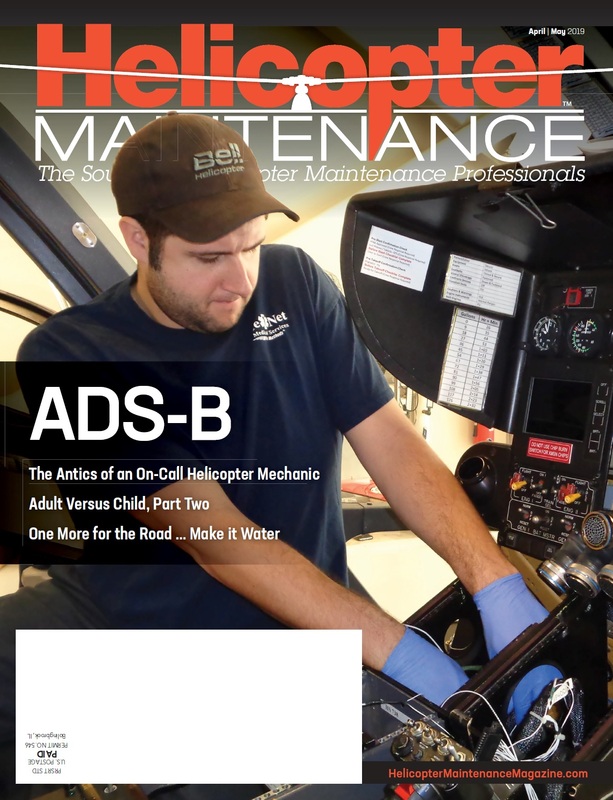 Cadorath and Airbus Helicopters recognize their partnership at Heli-Expo 2019 and announce Cadorath will provide D-level single-part repairs for the Dauphin family (365/155) of helicopters. The subsequent approval and performance of these repairs will be based out of Cadorath’s Winnipeg, MB, Canada facilities.